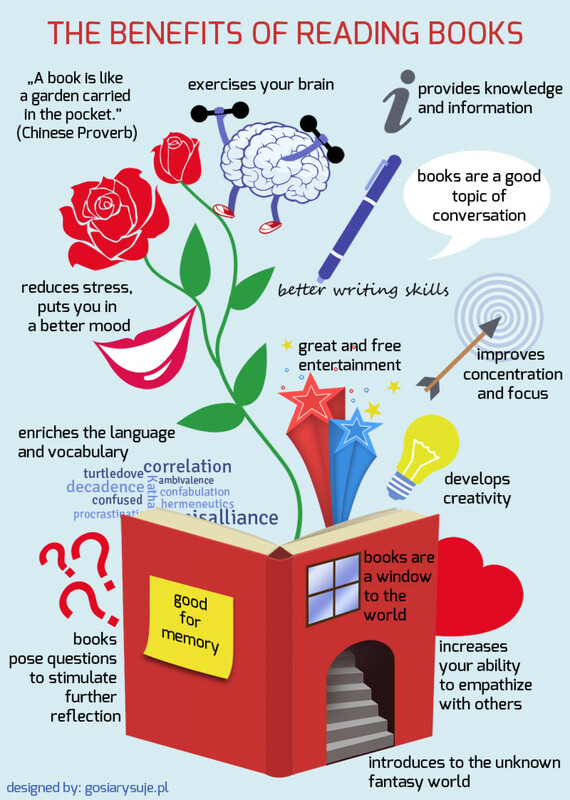 Reading is a habit with many advantages (refer to the infographic below). Unfortunately, there is lack of interest in reading among Malaysians. According to the latest Programme for International Student Assessment (PISA), Malaysian students scored poorly in reading ability. Perhaps this could be attributed to the scarcity of Malaysian libraries. If there is one in a neighbourhood, it is not well-stocked. There are many book stores in Malaysia. However books are expensive especially when you compare the minimum wage (approximately RM5 an hour as McDonald’s worker) to the price of a paperback novel (between RM20 and RM30). An alternative to a library and a book store is a book rental shop, which combines the function of a library and a book store. An example is SS Readers Corner. To rent books here, no membership is required. Instead, customers are required to pay for each book that they borrow. If the book is returned by its due date, some money will be returned to them. With a vast collection of books available at most book rental stores, it is hoped that Malaysians will be encouraged to read more books. There is a book for every literate person out there so there is no excuse to avoid reading. If you do not know which book to start your reading adventure, you could try this reading “diagnostic” tool or browse our ‘Bookshelves‘. If your children are reluctant readers, why not try these book suggestions? ps: This is a serial of blog posts to encourage people to borrow/rent books. Click on the number to read previous posts: #1, #2, #3 and #4. This entry was tagged Benefits, Book rental, Children's, Fiction, Malaysia, Non-fiction, Readers, Reading habit, Series, Young Adult. Bookmark the permalink. yes, malaysians do fare very very poorly in reading due to lack of reading habits.it is a scarce trend.worse still, i have been branded as lazy for my avid reading habit.apparently lazy people read instead of doing other activities that are available..
by the way did you manage to go to the book fest? Oh I’ve never heard avid readers being labelled as lazy. I’m offended! Well I hope that perception will vanish once people realise the importance of reading. I haven’t gone to the bookfest yet but plan to do so tomorrow or Sunday. What about you?